Well it isn't exactly about this Lian Li but I wanted to share anyways. 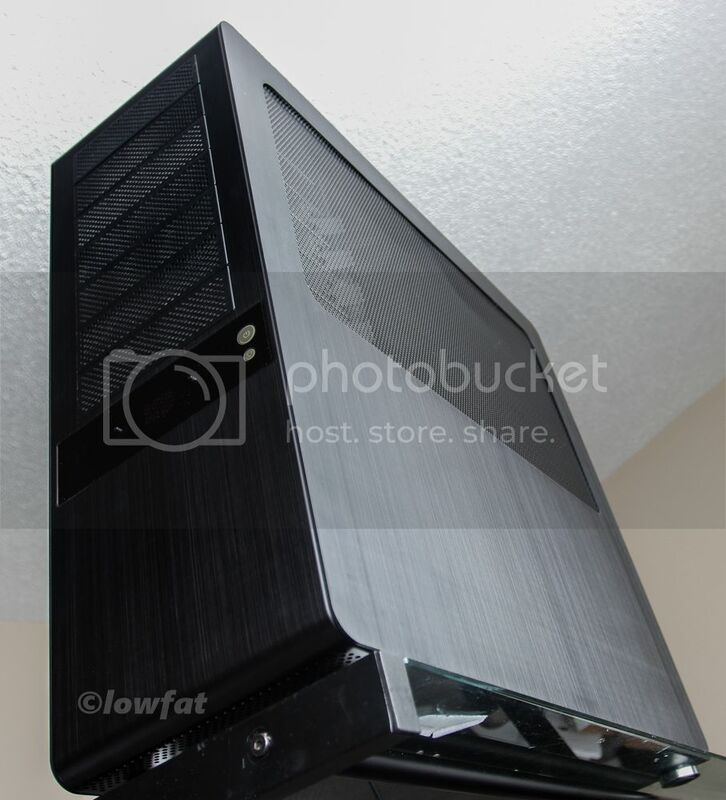 I got my 'new' case for my next gaming build. An A+ / Tagan Black Pearl. 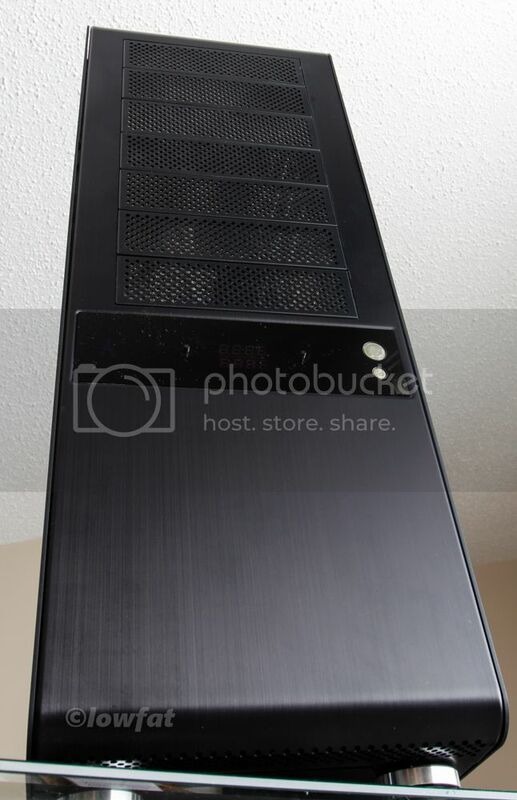 It is essentially a modified version of the old Lian Li PC-V2000. IMHO the best watercooling case of all time. This thing just oozes quality unlike modern Lian Li's. This won't get touched till after I finish Mael. But these are the first pics of Mother Dark. Which will be a completely murdered out system. Which hopefully will include a few things that I haven't seen blacked out before. Last edited by lowfat; August 21, 2014 at 08:17 PM. Someone over in the Lian Li Showcase thread on OCN had posted a link to another older cheap Lian Li eBay. Gave me the idea to search eBay for a Black Pearl. Low and behold an eBay listing for a BNIB one. $130USD shipped including duty . I actually had bought one of these back in 2008. In my n00bishness at the time I decided to get the case powder coated in just a couple of pieces. Didn't really take it a part. There were sections that were missed because A) the powder coaters were lazy and B) I didn't take it apart so it was harder to reach the corners w/ the powder coat spray. I also had it done in a metallic copper, the interior looked terrible in that colour. I quickly lost interest, so I have had an unfinished one in the closet for the past 6 years. Last edited by lowfat; August 22, 2014 at 10:20 AM. Someone over in the Lian Li Showcase thread on OCN had posted a link to another older cheap Lian Li eBay. Gave me the idea to search eBay for a Black Pearl. Low and behold someone had a listing for a BNIB one. $130USD shipped including duty . 130$ Shipped and Custom free!!!!!!!!!!!! I guess I will have to take a peak on the thread then! I wish I can find either a TJ07, PC-A77, V2000 someday for a scratch build but the prices are always on the crazy side. 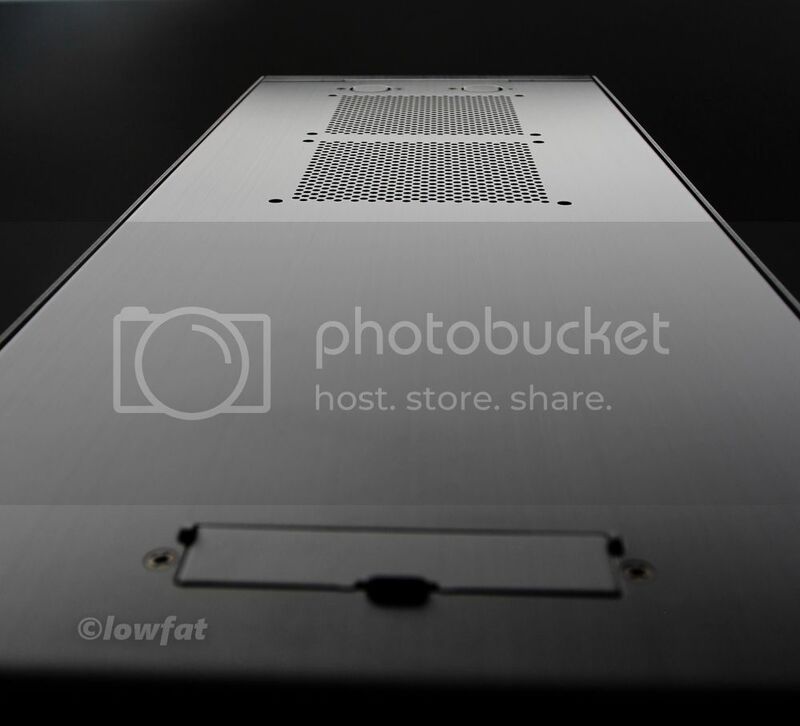 I want a big good aluminum shell. I will now add the Tagan A+ since I did forgot about it! Pc77 is that the one that has the full front door that covers the bays desiged for no sound if so have one in basement brushed aluminum. What are the plans with the fibre card? I have always been amazed on your builds even since that i think it was on TJ07 with white liquid, I think you called it snow something lol. Earth is Full, GO Home!! Can you take some pictures of yours...it might be easier to know which model it is since there was a few models with a full front door. I think you're talking about his "Forever Alone" build in a FT02....beautiful build indeed! 1 x 10 Gbit Ethernet connection will go to my server. Then the other port will go to my FreeNAS box. Both of them can easily saturate gigabit. I now make my sleeved cables to fit the case. So the cables and case would come as one. I couldn't really sell the cable seperately. Actually the plan is to fit a 2x200mm, 1x200mm, and a 2x120mm. That is pretty close to 10x120mm worth of frontal surface area. Frontal surface area being what is most important for water cooling radiators.